SPONSOR THE ROYAL EXCHANGE THEATRE AND ASSOCIATE YOUR BRAND WITH SOMETHING SPECTACULAR. Put your business centre stage with creative PR activity, city-wide branding and tailor-made marketing. Not only will you have access to world-class theatre, you can follow the creative journey of a play as productions come to life, engaging clients, staff and stakeholders with exclusive behind-the-scenes access. Entertain your guests in our historic spaces and host an evening with a difference.  At the Royal Exchange Theatre we love to work creatively and offer a variety of sponsorship opportunities. Whatever your business aims and ambitions, we can build a bespoke package to suit you. Get in touch to start the conversation about how we could work together. ...Victoria Turner, Associate Director at Levitt Bernstein’s Manchester Studio.